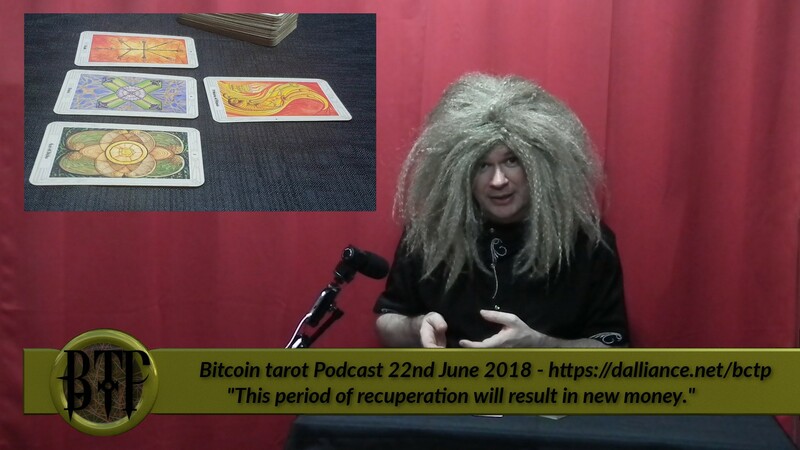 Last week the cards said that BTC’s courage and ruthlessness would bounce our disappointment into new wealth, then this week the price dropped down, the gained courage, bounced, and ruthlessly turned our disappointment into wealth. This week Cosmic Conroy reads the cards and finds that this period of recuperation will result in new money. [Synopsis] this period of recuperation will result in new money.